Water damage represents nearly 50% of home insurance claims. Here are some tips to avoid unpleasant surprises. Did you know that 48% of home insurance claims are caused by water damage,1 making this the #1 cause of home insurance losses? Be sure that your insurance policy covers this. Some water-related damage is automatically covered under your policy, such as flooding from a water main break, a sewer break or a household appliance malfunction. However, some water-related damage is not covered by every insurance policy. To be properly protected, ensure that your home insurance covers things such as sewer backup, water ingress or water inlet break. As well, the insurance amounts for each of these coverages should be high enough to cover the damage to your house. 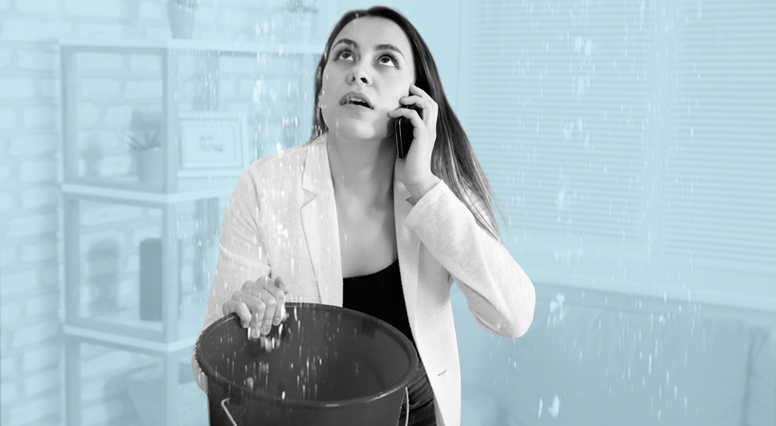 There’s a waterfall in your downstairs neighbour’s apartment because your bathtub overflowed or a pipe burst. As a renter, you are responsible for the water damage you cause your neighbours. So it is important to have tenants’ home insurance that will provide coverage for water damage. Even though water leaks occur frequently and cause lots of damage, there are ways to prevent them by staying on top of things. And with good home insurance, you will have peace of mind even if you have a water-related claim.